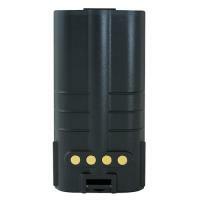 This is CodeRed's replacement battery for BKB191210/34, and is covered by a 1-year warranty. Boasting a 7.5V and 2700 mAh capacity, it's the ultimate choice for a backup or replacement. This aftermarket part is a go-to pick for many outdoor enthusiasts who have passed the life expectancy of their original battery. It works with the following models: Harris MaCom: P5100, P5130, P5150, P5200, P7130, P7150, P7170, P7200, P7230, P7250, P7270, Jaguar 700P, 700Pi, 710P, SPD2000. Japanese cells.